When talking about hip-hop and entertainment, blogger Karen Civil is always bringing you the latest music and news via her blog KarenCivil.com. The New Jersey native launched her blog in 2008 and has already won a 2010 MTV Hip Hop Award, landed features in magazines such as XXL, Complex and The Source. Fellow blogger, Briea Chanel was able to follow up with Karen from a previous interview she had with Girlmuch.com and ask her a few questions about the music industry and the part she plays in it. 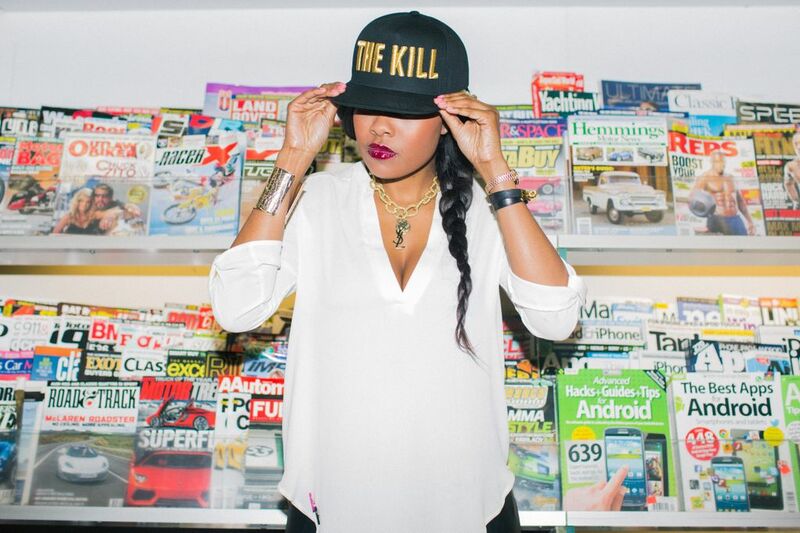 BC: What’s a day in the life of Karen Civil? KC: Hectic to say the least. From meetings to scheduling Civil Tv interviews to personal engagements. BC: Could you see yourself becoming the media mogul that you are today a few years ago? What has been your source of inspiration/motivation? KC: You never really know. I just continued to work and knew eventually that my vision would become reality. I am not fully where I want to be yet, but every day is a new chapter and new adventure and every day we need to learn. BC: How do you determine what’s relevant or “news” in today’s music when it comes to deciding what to post on your blog? KC: Artists that continuously make an impact. BC: What tips do you have for networking as well as building and maintaining important relationships in the industry? KC: You’ve just got to be you. Be genuine and respectful. I try to remain humble and genuine… This is what works for me. BC: I’ve heard a lot about an upcoming book you’re working on, can you tell us more about it? Do you have a release date? KC: It’s a book about affirmations from people and their everyday lives where I am going to detail things that I have experienced and how they have helped me. And hopefully people can use my affirmations and experiences in their everyday life. BC: Your clothing line, Civil Clothing, is amazing and it’s been seen on countless people, especially among celebrities. What gave you the inspiration for these designs? KC: Civil Clothing started in 2008 by Omar, Creative Director, and Michael, Operations Director. They allowed me to be a part because it made sense… I came aboard to help build the brand. Civil Clothing has a great team of people. They are all fresh and new who are all excited about it having fun. BC: Do have any other projects going on that you want to let us know about? KC: I can’t show my cards before I play them but I am continuing to grow the Karen Civil brand. BC: Where do you see your brand and companies in 5-10 years? What is your ultimate goal? KC: I want to be at a place such as Ryan Seacrest… a media mogul. He is someone I aspire to be… he is doing very well. BC: What has been the greatest obstacle for you in the media industry? KC: Knowing social media can hurt you and harm you… I realize that I can’t be too open on social media… you can’t share everything. Even though it’s your social footprint you still need to keep things private. BC: Do you believe that more people, especially the youth, should learn more about how to start their own business? KC: Yes. We are in the day and age of being able to decide our career paths. We need to learn more about the careers we choose and learn how to control our destinies. BC: If you could give one piece of advice to anyone who is trying to create the career of their dreams, what would it be? KC: There are so many opportunities out there… you just have to go get them. We at GirlMuch.com appreciate Karen Civil for being able to share with us her knowledge and advice. We wish much more success to Civil and her entertainment empire! Follow Karen Civil on Twitter!